Peddles spinning and legs flailing, Mr Mustard hurtles down the hill at full speed to make it home just in time for tea! Exploring what Brighton and Hove have to offer, Ernest, little pooch Doris and who ever is tagging along that day often find themselves losing all track of time. 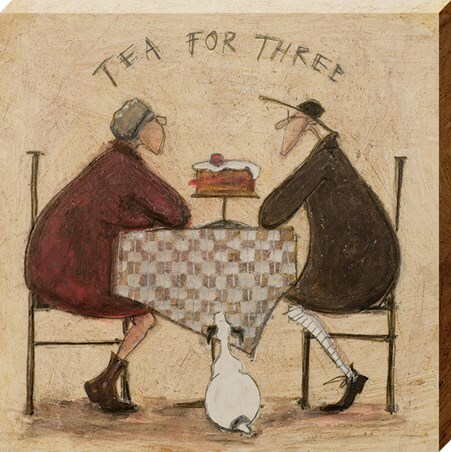 This gorgeously expressive canvas print by Sam Toft features an exciting snapshot into this characters day as they enjoy a little thrill, feathers flapping and water spilling! 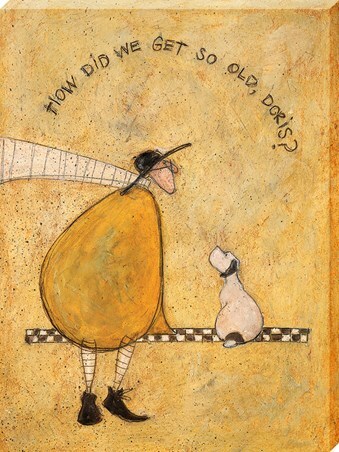 A wonderful piece for your home to add some life and laughter. 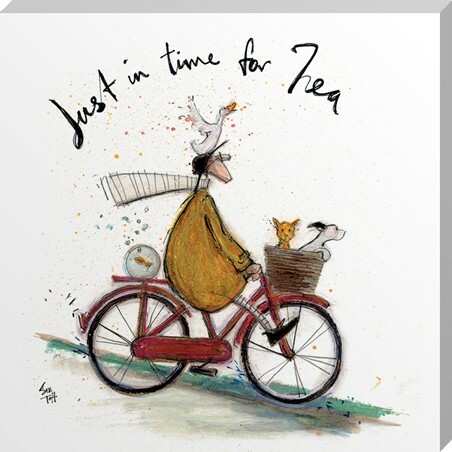 High quality, framed Just in Time for Tea, Sam Toft canvas print with a bespoke frame by our custom framing service.